This is the most popular place in Granada. It is a place of indescribable beauty. You may call it both a fortress and a palace surrounded by walls. It has a rich history; being the residence of Nasrid sultans from 13th century and 15th century. Its splendour is evident in its towers, palaces, gardens, and royal apartments. It gives you the taste of the Nasrid dynasty. The visiting times are divided into two: morning and afternoon. 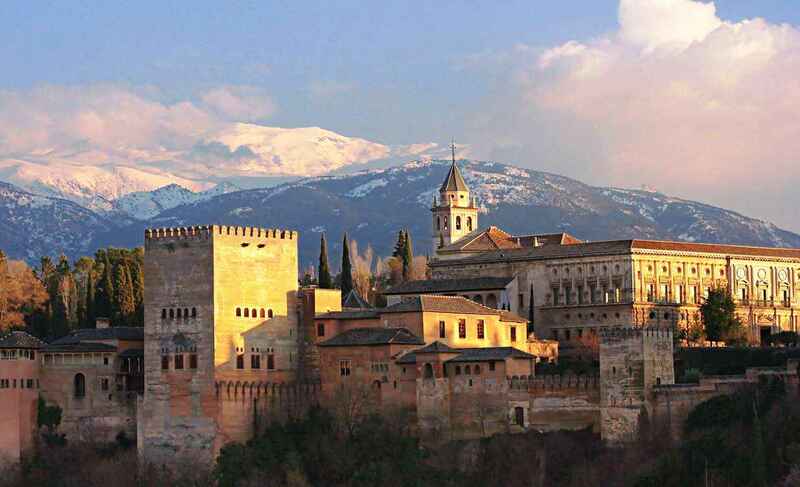 The night visits are limited only to the Generallife, Alcazaba, and the Nasrid Palaces. It is built on a site of former Great Mosque. 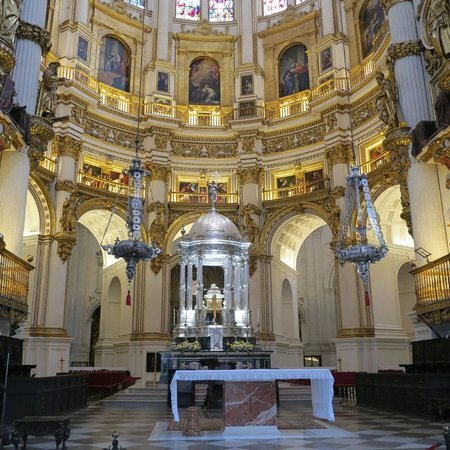 The interior of Cathedral of Granada is imposed with many beautiful chapels. Royal Chapel is a burial place of Catholic Kings and it is just adjacent. You can visit this place on any other day except Sunday and during public holidays. You do not need any tickets in advance as they are available on site. This is another must see place in Granada. It is adjacent to River Darro hence its name. It is crossed by 2 stone bridges. From this place you will enjoy amazing views of different major places in the city. Plaza Nueva is located here and it is regarded as oldest square in the city. There are a total of 11 routes you can get to this place by bus. It is also a walking distance from the city centre. If you love beer, you are free to have it in Paseo de los Tristes as you enjoy beautiful views of Alhambra. These are two historical districts of Granada. Albaycin is situated on a hill opposite Alhambra. You will find narrow streets that are lined with the ancient Arab houses. 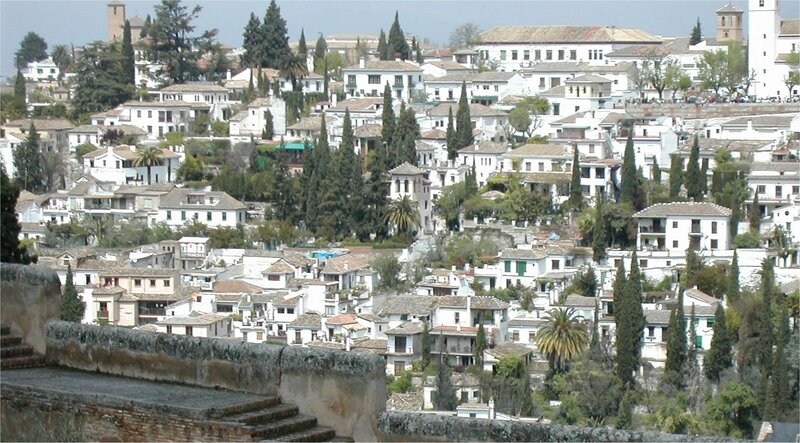 Sacromonte is popular for its gypsy caves, flamenco shows, and beautiful natural surroundings. There are over 30 routes you can use to get to these places. Being a steep hill, you are advised to wear comfortable pair of shoes. Take care not to get lost in the narrow streets. If you are a person of wine, you can enjoy it during sunsets. The caves in Sacromonte bring true taste of real Spain via the authentic flamenco shows. There are so many restaurants where you can enjoy the flamenco dancing. The shows cost about 20 Euros. You will also get a chance to enjoy the Granadian cuisine during your holiday in the city. Most restaurants give free snacks, but you need to pay for the drink first. Granada is not just a tradition, it is philosophy of life. It has a rich taste of life evidenced with amazing views and nice people. Spain is quite a popular country amongst tourists from all over the world because it elaborates a healthy combination of places for recreation, amusement and historical purposes. The province of Almeria is located l on the South East of Spain. It serves as an excellent example for a place that strikes a perfect balance of modern entertainment and historical places. Let’s take a look at some attractions that you can visit on your holiday to Almeria. Cabo de Gata Almeria is a natural park that covers a total area of about 45000 hectares. This park is located at a close proximity to the beach. It also features Tall Mountain as the main attraction in the backdrop, adding to the charm and beauty of the place. According to geologists, the tall mountain is a volcanic formation. Facing the mountain with beautiful, white sand beach is certainly a place that you would love to visit on your holiday to Almeria. You will also see a coral reef near the beach. On visiting the park, you will notice that it is built differently as compared to its contemporaries. It is amazingly beautiful and you will find at least one place in every corner to take beautiful pictures. The beach also has the facility of water sports for added fun. 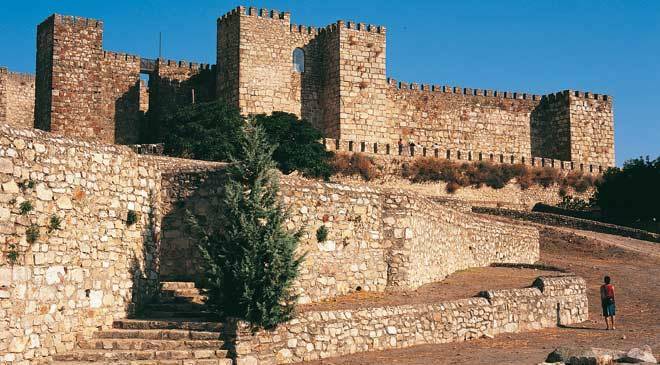 Situated on the top of the hill, the Alcazaba castle was home for about 25000 armed troops. The palace was built on the hill top to serve the purpose of observatory so troops could keep an eye on each moment of the pirates and enemies. Also, it was difficult for enemies to reach the hilltop due to complexities and lack of commuting roads. The Alcazaba castle also incorporates cathedral, which is built in typical Gothic architecture. The cathedral was built in 1524, but got destroyed due to severe earthquake. However, a new cathedral was built, but even this one suffered the consequences of subsequent wars. But, each time it suffered the casualty, the cathedral was rebuilt. It remains the glory of the castle even to this day. It features a lot of priceless collections in the form of art and artifacts. The sculpture is made of pure marble, and the carving works are amazingly beautiful. Mojacar is a small town in Almeria. It was basically a fortress before it was converted into a church. It also served the purpose of customs house in the 18th century, a place where custom duties were collected. This practice remains even to this day. The beautiful arch is believed to have been built during the 15th century and looks quite welcoming as you pass through it. This is another quite an interesting place to visit in Almeria. This is one place that no traveller should miss when holidaying in Almeria. 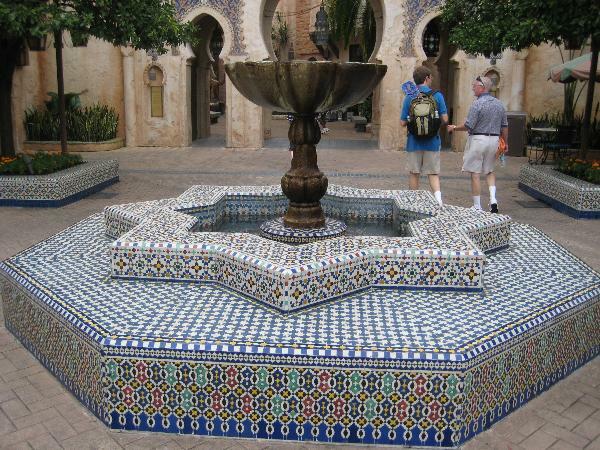 According to historians, this beautiful fountain was built during the Roman period. It basically served the source of water for people residing in Mojacar. The interesting fact is that the history of the city has been beautifully written on the stone laid around the spring water fountain. The Spanish city of Valencia is situated in the province of this country with the same name and is becoming the hottest tourist destination with people from around the world. Not only this place has a varied architecture and history dating back to centuries there are also plenty of other things to see and do during your visit. If you’re planning holidays in this city there are certain times of the year when it’s best to visit mainly during spring and autumn months. It’s a much better period than spring and winters because temperatures greatly vary and you won’t be able to do many activities you’d like. When it comes to visiting Valencia, there are hundreds of things to do and places to go and see. Along with number of art and history museums, Valenica also has a bullfighting museum and a science museum. The science museum is also known as City of Arts and Sciences. There are five different halls to explore with five different themes. You should definitely visit Prince Philip Science Museum, which is a part of this museum and famous with kids as they can learn more about science. 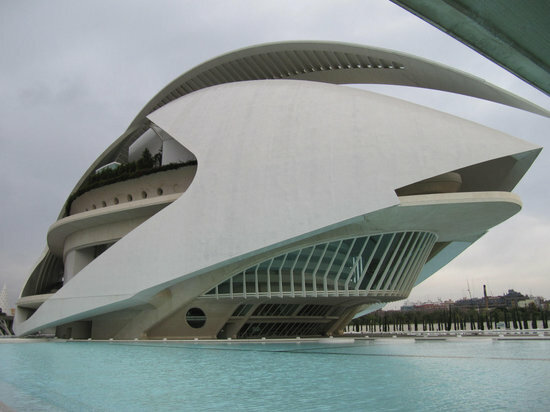 Let’s have a close look at some other attractions in Valencia…. You can visit Reina Sofia Palace of Arts. This palace is spread over 40,000 meter square and is distributed over three auditoriums dedicated to dance, opera, musch and theater in general. This breathtaking building has been created by Santiago Calatrave and is full of architectural surprises. According to its creator, this place seeks to “take people into a circular place so that they can easily move around music”! Lumbracle is a huge central promenade that’s made of sculptured steel. It’s fantastically pleasing to the eye, and is a walkway of different plants and trees that blend seamlessly with metal and concrete of its modern settings. L’oceanograrfic is a new type of aquarium, a huge underwater city of around 85,000 square meters that makes it possible for you to quickly discover treasures of seven seas. It has been designed by architect Felix Candela, and is the largest oceanographic park in the Europe. It also has world’s largest animal species and volume of water. The historical center of Valencia is a section of the city that arose around the cathedral and was subsequently included within a huge medieval wall build in 1355. Parts of this wall are still preserved. * The old town (Casco Antiguo) of Valencia consists of five districtes. Among which Carmen district is most popular and outstanding. 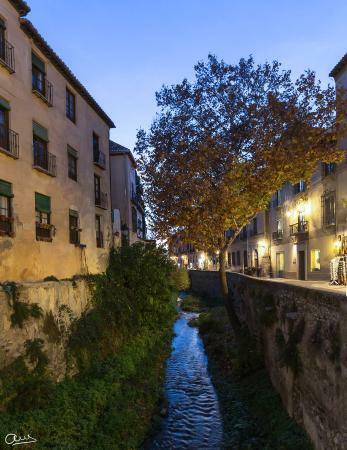 Visiting Muslim, visiogothic and roman remains at the Portal del la Valldigno, La Almoina will help you to go deeply into the historical roots about the evolution of the city. There are dozens of other attractions to explore. You can enjoy exciting nightlifte in Valenica as city offers you a varied and wide entertainment scenario for both young and old, straight and gay. From concerts, casinos, theaters (14 in total), fiestas and flamenco, it’s all there in huge quantities. After spending your time exploring this magnificent city, you can enjoy a movie at L’Hemisferic a gigantic IMAX 3D cinema. It is situated within the City of Arts and Sciences Museum. Finally you can spend some time relaxing after all that activity by wandering around L’Umbracle. You can explore these beautiful gardens of Valencia at your own pace using their wide walkways. Costa Blanca is a perfect place to spend your vacation and embrace the natural beauty of the planet earth. If you are one the people who is not a fond of the winter and the cold weather, if you feel like agoraphobic when the temperature out is freezing and you imagine lying on the beach under a pleasant sun, then Costa Blanca is the place for you. Costa Blanca is known for the pleasant and sunny weather throughout the year hence is the perfect place for the sun worshipers. Costa Blanca is known by its endless variety with amazing beaches, high mountains and many breathtaking natural attractions. Nestled is the shadow of the magnificent Montgo Mountain on the Northern area of Costa Blanca, you can find the calm and impressive town of Javea. Javea is a nice and historic town located in the province of Alicante, mostly known by its amazing vast beaches and friendly locals. 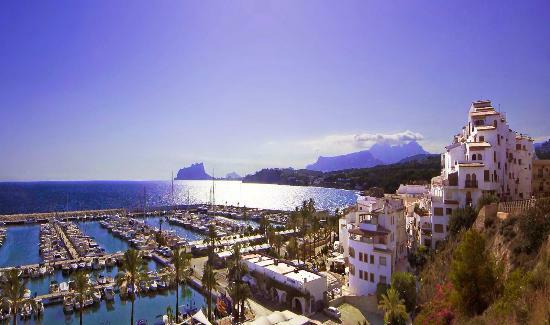 Javea is one of the most popular destinations for many tourists from all over the worlds. Javea is a town that you ought to put on your must visit list. 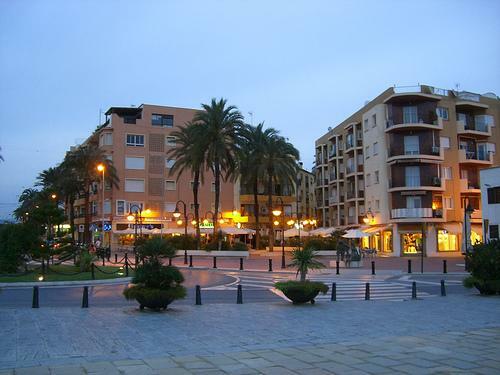 The town of Javea is divided in three different parts: The Old Town (Javea Pueblo), the beach area (Playa de Arenal) and the port area (Javea Puerto). The Montgo Mountain is the most prominent mountain on Javea landscape and provides natural protection against stormy northern fronts. This specific natural conditions has created a privileged micro climate, hence Javea enjoys average climate. In addition, the view of the Montgo Mountain is just outstanding and impressive. The national park in the mountain with a lush nature and a home of many rare birds and animals. When it comes to accommodation Javea offers wide array of option and of the best is to find an affordable villa to rent in Javea. The area of Javea enjoys a low construction density with spacious villas gathered along its 25 km of lush coastline. Depending of your needs you can find an apartment for rent in Javea with a reasonable location, two to three bedrooms with dazzling view of the Medietarenan Sea. In the town center one can find the beach of Lacrata with its pleasant promenade, restaurant and bar. Further to the south and firm favorite among the tourists is the Arenal beach, the only sand beach that offers complete leisure and sports facilities. Right next to the Arenal beach you can find many pebbles beaches with crystal water and vast expanse of golden, sun kissed sand. Javea is a perfect destination for spending blissful time with your family, and you can find an affordable holiday villa rental in Javea for spending unforgettable time and in order to have a complete Javea experience. The magical town of Javea blessed with a perfect geographical location, rich historical treasure, breathless landscape and warm and friendly locals, make this place one of the favorite destinations for tourist and an eminent part of the Costa Blanca Holidays. If you are sea enthusiasts and you feel like you need a nice vacation with your family then you ought to visit the heart of the Mediterranean- Costa Blanca. Costa Blanca is an amazing place kissed by the sun during the whole year. Costa Blanca offers wide array of amazing natural attraction, vast sandy beaches and warm and friendly people. Costa Blanca is known among the tourist from all over the world as a place that you must visit. If you strive to find a peaceful and relaxing place where you can spend a marvelous time with your family, then you ought to visit the magical town of Moraia. 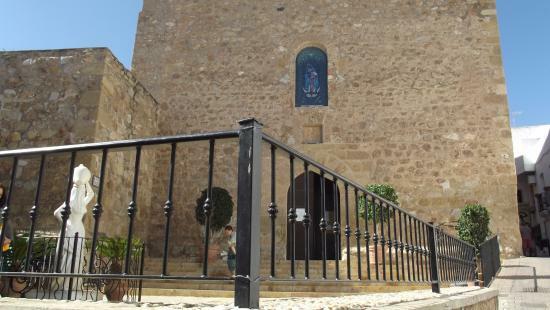 Moraia is a small and yet amazing town, nestled in the amazing mountainous northern east part of Costa Blanca. Moraia is 110 km south of Valencia and 80 km north of Alicante. With 8km of coastline Moraia offers exceptional lush geographical environment. Moraira has a typical Mediterranean climate with an average degree of 18 C, with a pleasant and sunny weather throughout the year. Moraia is a beautiful, rugged, mountainous coastline with numerous cliffs, golden beaches, hidden bays all offering the most crystalline waters. At the foot of the castle right in the city center lays Playa la Ampolla (La Ampola Beach) the most popular and frequent beach in the area. La Ampolla beach is the largest beach in the area, since its setting is quite steeply this beach is protected from big waves and generally safe for children. Going north-west you can find the El Portet Beach, which is not large as La Ampolla Beach but offers a golden sand and calm, crystal water, shell shaped with a perfect setting for a relaxing swim. In the town center you can find the traditional and old fishing port, and of the most popular fishing ports in the entire coastline of Costa Blanca. Moraira in its very beginning was a small fishing village and since that has grown into attractive and popular destination for tourists from all over the world. For accommodation there is a wide array of Moraira properties which offer affordable and nice Moraira Rentals apartments located on the perfect location where you can have perfect villa with an outstanding view of the sea. The holiday’s villa in Moraia is the most reasonable solution for accommodation, especially if you are travelling with your family. 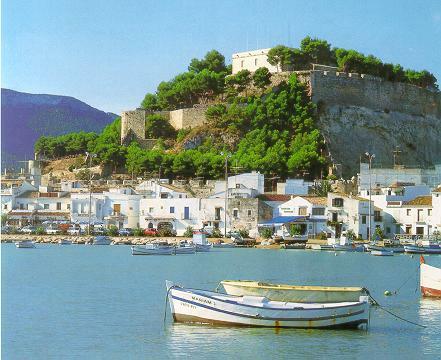 The Moraira is very old town, blessed with amazing rich history and natural beauty. In the old town of Moraia, you can sit in one of the many coffees and restaurants and watch the world go by, or you can wonder and walk through their narrow and magical street which leads to the castle. Moraia is the perfect place for those who are seeking nature and tranquility. You can find peace and have a marvelous time with your family and friends in this amazing and glorious town which is big and mandatory part of the Costa Blanca Holidays. If you are feeling like you are tired from the city concrete and from the everyday routine and you just want to lay on a golden beach and gaze into the flamboyant nature, you ought to visit the heart of the Mediterranean – the beautiful coast line of Costa Blanca. On the north coast of Alicante province, nestled between the glorious mountains and cliffs you can find the exquisite town of Denia. Denia is a fabulous town with a rugged landscape with cliffs jetting down to the sea. 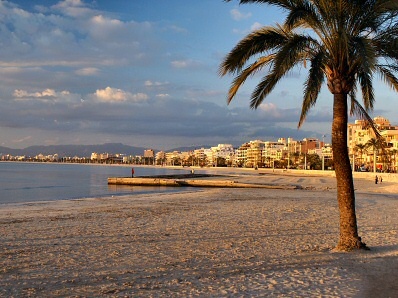 Denia is located 110 kilometers from Alicante and 20 kilometers from the city of Valencia, both with national airports. With a coastline of 90km Denia offers numerous hidden coast bays as well as vast and extensive sand beaches. Blessed with a geographical convenience, Denia enjoys pleasant and Mediterranean climate with hot summers and mild winters. Approximately, 44 000 inhabitants but during the summer the population is increasing to 100 000 inhabitants. To the south you can find the amazing shingle beaches. Going further south to the area the coastline becomes more wild and rugged, with coves, shingle beaches and inviting transparent water. Going northwards the landscape changes dramatically, the area Les Marines offers vast sandy beaches and impressive crystal and calm water. The geographical region and the windy weather are perfect for numerous recreational sports such as windsurfing and kite surfing. When it comes to the accommodation, there is a wide array of Rental apartments and villas in Denia , Denia which is the perfect solution if you are visiting Denia with your family. From Denia’s Castle which takes back to Moorish times, you can contemplate spectacular views over the city and the nearby port. During your holiday you can hop one of the high speed ferries and visit the Balearic Islands regularly making the 45 miles journey to the island of Ibiza. Sitting parallel to the commercial marina you can find the old city port. Nearby is the promenade with traditional, fishing village spirit, with narrow streets. Wandering through the narrow and beautiful streets you can find a numerous restaurant where you can enjoy in traditional Spanish cuisine and try the numerous delightful dishes. Walking throughout the promenade you can also find some of the popular and authentic cafes and bars. Denia is also a town with a rich historical value, regarding to the fact that the Denia’s castle was a residence to the Marquise of Denia. As is mentioned above, the landscape of Denia consist of big amount of mountains and the popular Montgo Mountain is the natural boundary between Denia and the popular old town Javea. 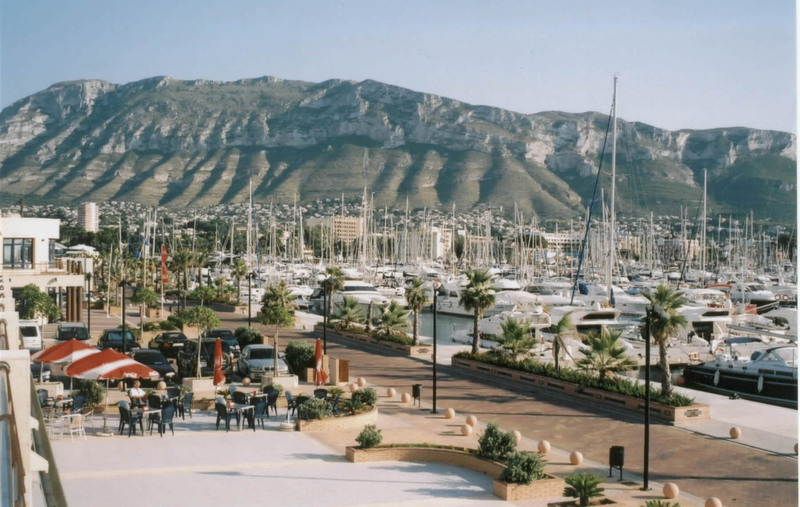 Denia is known as the cosmopolitan of Costa Blanca holidays. This delightful town is the jewel of the crown of Costa Blanca, offering a wide array of amazing beaches, splendid nature and rich historical treasure. Therefore, if you are heading up south, don’t forget to visit the amazing coast line of Costa Blanca and the amazing town of Denia.